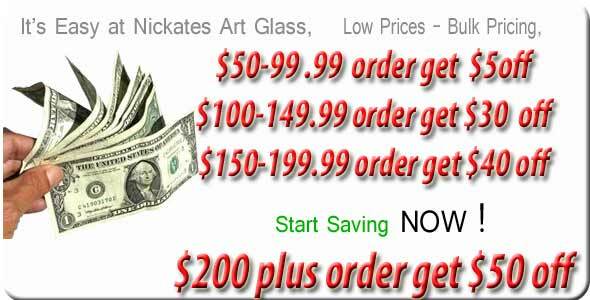 Crystal Beveled glass by Nickates Stained Glass Supplies Inc. Box of 30 Square Bevels 1.5x1.5. All bevels are available as one or in unopened boxes of 30. All bevels are made on clear 3/16 glass with a 1/2 beveled edge. Please note: Our low prices when selling unopened boxes of 30 may reflect some minor scratches and chipping. All beveled glass product sales are final.